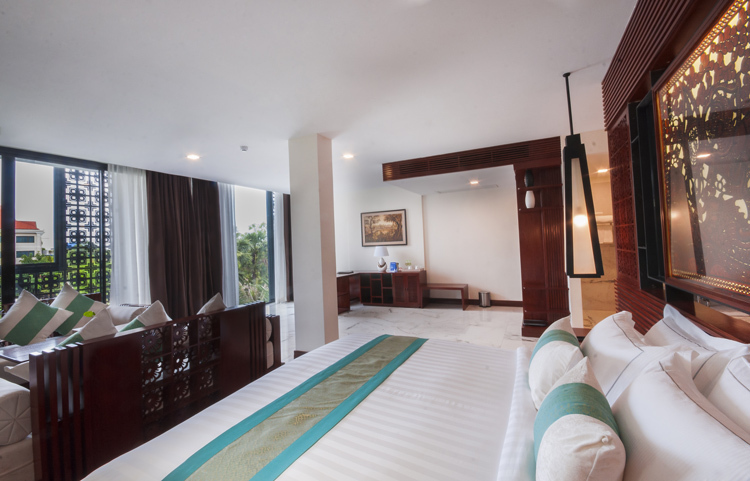 The Lotus Suite is the latest design and truly special, with magnificent views of the lively city of Siem Reap. 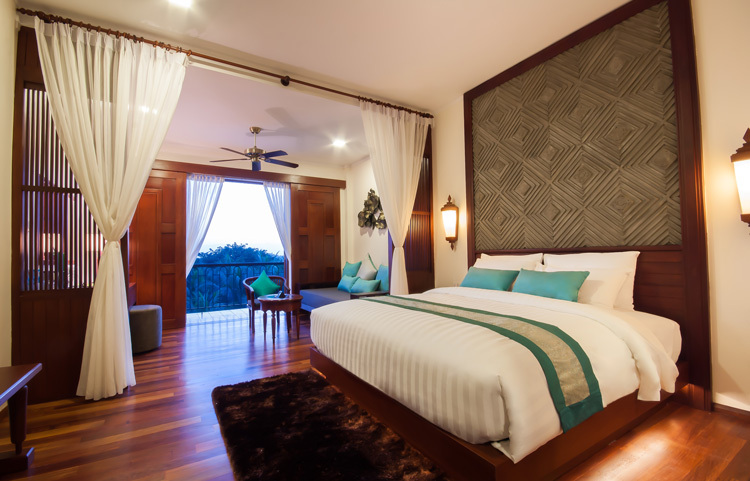 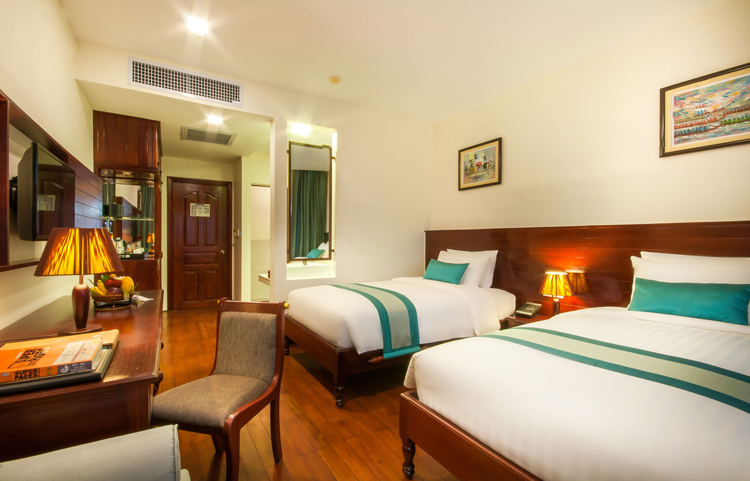 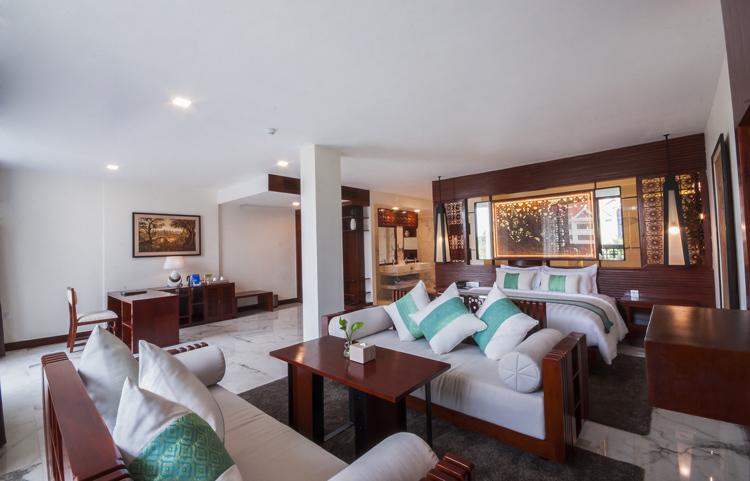 The design is classically luxury, featuring Angkorian decorative touches that include hardwood floors, teak wood furniture, soft upholstered furniture covered in elegant Khmer silk fabrics. 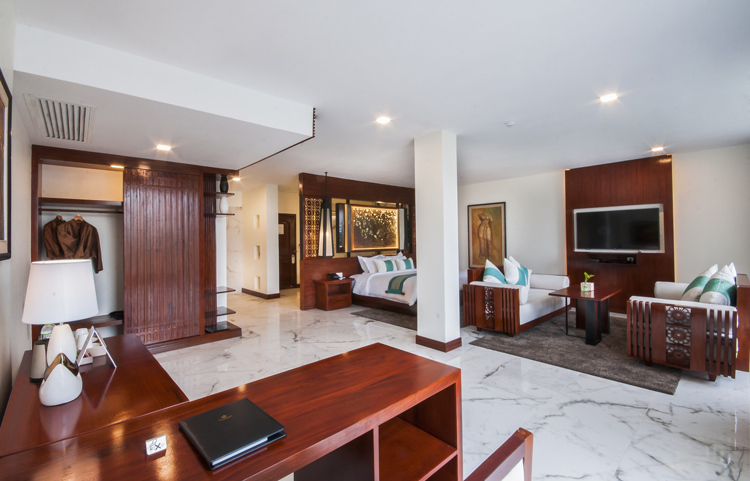 The bedroom is spaciously comfortable, with an adjoining bathroom that has both a stand-alone rain forest type shower and a huge bathtub.